Health and safety in the construction industry has been brought to the fore again with recent statistics showing high numbers of deaths and serious accidents in the sector. Construction sites are well known for being one of the most dangerous sectors to work in and new figures suggest that the number of accidents at work in the construction industry is not representative of the small percentage of total UK employees who work in the sector. Builders only make up 5% of employees in the UK, yet according to the new statistics, they make up 27% of the fatal injuries as well as 10% of serious accidents that have been reported. Baroness Donaghy said in 2010 government report that she would like more funding to go into the Health and Safety Executive so that it can do its job effectively and bring down the number of accidents in the construction industry. Contrary to this preference, there were funding cuts to the HSE in 2011. 2014 has proven to be a difficult year in terms of builder accidents with the number of fatal accidents doubling in London. The recession has also impacted on the industry in that there has been a rise in the number of less experienced people working in the building trade. Construction output also fell significantly following 2008 when the recession began. In addition to this, there has also been an increase in poor safety procedures. Almost a quarter of impromptu site visits by the HSE reported that the minimum safety standards were not met. The safety checks included people working from height and Personal Protective Equipment checks. Some of those sites were closed with immediate effect as they were so poorly managed in terms of safety. 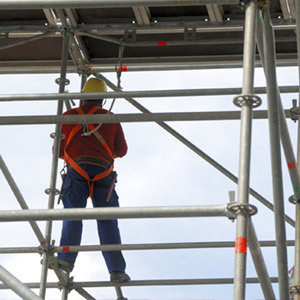 If you believe you have a possible construction injury claim then please get in touch with our workplace injury lawyers at Jefferies to see if you can conduct your claim on a no win no fee basis. Please call us on our national accident helpline number or complete one of our online claim forms.